Recently two very intelligent and well known individuals, Elon Musk and Stephen Hawking, have made headlines by warning us about the 'dangers' of artificial intelligence (AI). While I hate to disagree with such brilliant people, I'm not as worried about the future of AI. Recently two very intelligent and well known individuals, Elon Musk and Stephen Hawking, have made headlines by warning us about the 'dangers' of artificial intelligence (AI). While I hate to disagree with such brilliant people, I'm not as worried about the future of AI. However, even if I was, I know that there isn't much that can be done to reign AI in. Neither Musk nor Hawking have beaten around the bush much. In a recent interview Musk said "with artificial intelligence we are summoning the demon. In all those stories where there's the guy with the pentagram and the holy water, it's like -- yeah, he's sure he can control the demon. Doesn't work out." Hawking wasn't as pessimistic as the headlines made him sound. His dire warnings were accompanied by great optimism: "Although we are facing potentially the best or worst thing to happen to humanity in history, little serious research is devoted to these issues. All of us should ask ourselves what we can do now to improve the chances of reaping the benefits and avoiding the risks." So, although Hawking is sounding alarms he is also aware of the incredible potential of AI. He acknowledges that AI has the potential to end war, disease and poverty. Here, I agree with Hawking. 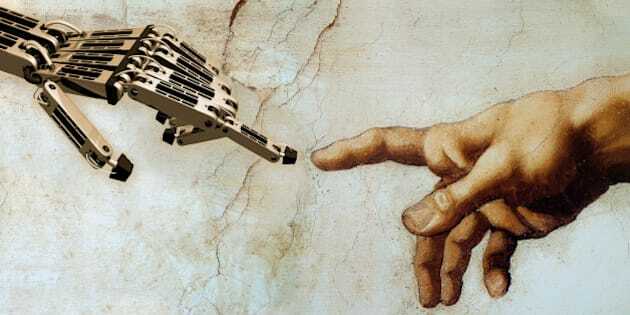 I do think that AI, combined with other technologies, has the potential to "end" humanity but only in the sense that humanity will be reinvented. A combination of AI, robotics, cybernetics, nanotechnology, neuroscience and genetics will lead us to a sort of human 2.0 -- a less ignorant, less fragile, more powerful, longer lived version of us. While I could be wrong, unless that human 2.0 comes along the concerns raised by Hawking, Musk and others won't really matter. Setting limits on AI or other advanced technologies would require international cooperation and humans (the current version) do not cooperate internationally. There might be nations who co-operate with each other, sometimes, on certain issues but there has never been a completely international agreement that worked on any issue. International agreements have been completely unsuccessful at limiting the international drug trade, or stopping human trafficking, the Nuclear Non-Proliferation Treaty has not stopped nuclear weapons from proliferating, international agreements on human rights haven't stopped human rights violations and the same can be said for the use of chemical weapons. International treaties designed to protect endangered species have worked in a few cases, but not in most. Climate change is, arguably, the most significant threat currently facing humanity. However, despite the fact that we first started to understand the link between greenhouse gasses and climate change in the late 1950s, there has been no significant international agreement on climate change. Levels of Co2 in the atmosphere continue to go up, year after year. If AI, robotics, cybernetics, nanotechnology, neuroscience and genetics are given another 50 years, the only people arguing about their safety will be historians. An international agreement to put limits on AI or any other technology would require the sincere and active participation of every country on Earth. Even if every country agrees and their leaders honestly participate, as opposed to developing technology clandestinely, the success of the agreement will still depend on economics. Nations with limited policing budgets or with corruption problems may not be successful at enforcing the agreed to limits. If any country decides not to or is unable to participate, others will follow. No nation is going to willingly sit on the sidelines while their neighbor build genetically and cybernetically enhanced super-humans and armies of robot workers and soldiers. So, I hate to disagree with Hawking and Musk. I have tremendous respect for both men and their opinions on absolutely any issue. Realistically, however, there is little chance of meaningful limits on AI being put in place in the foreseeable future. I may be overly optimistic about technology but, it seems to me that once you've jumped out of the plane you might as well be optimistic about how well your parachute is going to work.